The user approaches the booth and taps the screen to begin. A live-view appears on the screen and guests have their photo, gif, boomerang or video taken (depending on the booth you choose). 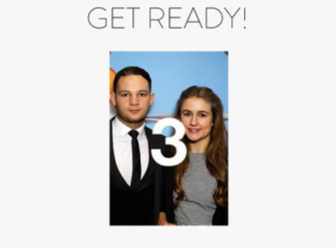 A countdown begins and the photo/video taken. 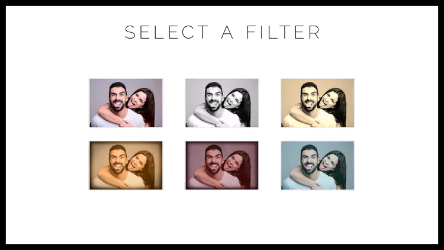 Once all the photographs are taken the photo booth applies the branded overlay to the image and the user is then given the choice to add a filter. 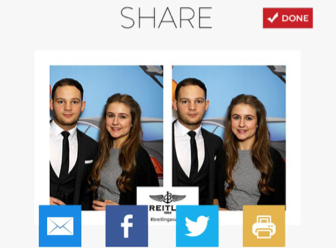 The photo, gif, video or boomerang are then displayed on the screen along with social sharing and printing options. The overlay is the border/personalised branding which is displayed on the edge of the photo. 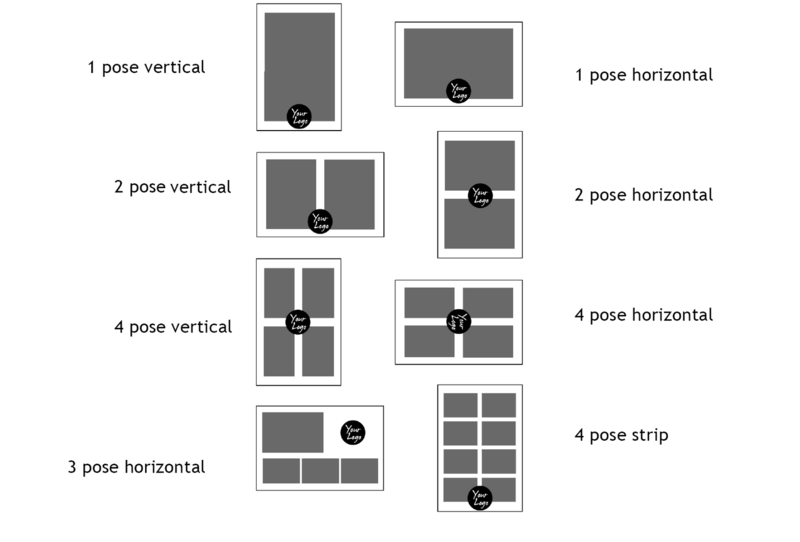 You choose the layout and we can design the rest for you. If you would like a slightly different layout please ask us when booking. The pod-like structure of our booths allows us to place the booth anywhere at your venue, be it that urban brick wall, or beautiful scenery. We can also provide you with a choice of one of our backgrounds below or even personalise a branded backdrop to fit the theme of your event. 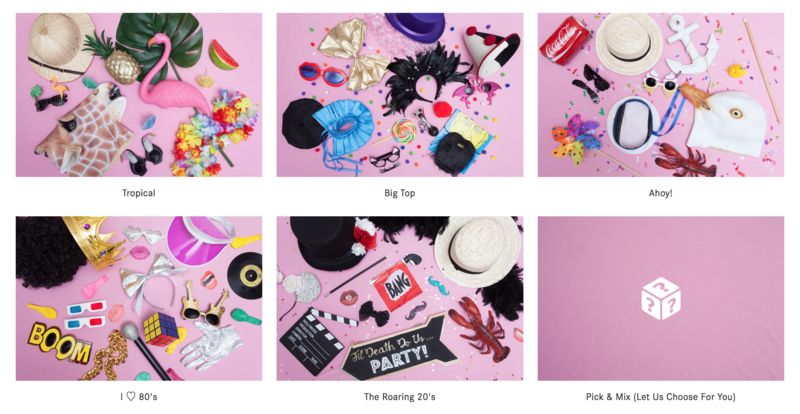 Finally, choose your themed props box to fit the theme of your wedding, party or event or select the Pick & Mix and we will choose the best props for you. We also have some additional branding options available which are great for corporate events, product launches, award ceremonies and parties. Our branding options allow the booth to blend into your event whilst also offering a perfect promotional opportunity both at the event and for social media sharing. Personalise it! 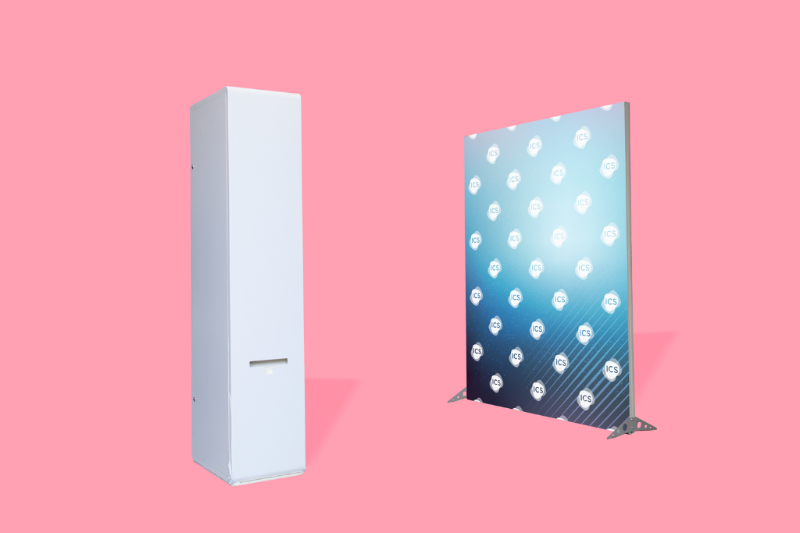 Brand your booth to match your brand, event or promotion. Round it all off with a custom printed backdrop. Stay on brand! 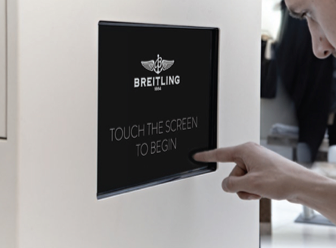 Customise every screen seen by the user. All of our booths require an internet connection to upload to Facebook and Twitter. If your venue does not have wifi or has a poor connection we would suggest hiring our 4G hotspot to rectify this issue. Please be aware that if you are unable to get a 4G or 3G connection on your phone at your venue, our 4G hotspots will not work. Please check with your venue before adding it to your order. If there is no wifi or 4G at your venue don't worry! Our booths will store the emails and send it across once an internet connection is established. This is often the next day after the event and once we get the booth back to our office. If you haven't already and would like to add any of these to your order, please let us know. If you have any more questions please get in touch.